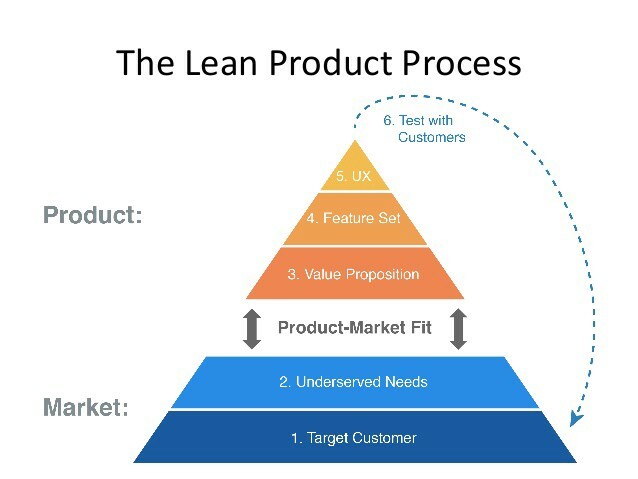 Compared to some other concepts such as “MVP” that I first discovered through reading The Lean Startup, Product/Market Fit is much less famous outside of the startup scene. But the purity of the notion led me to obsessively research more about what it means, and how companies use it. I loved the idea of a single goal to encapsulate everything a company needs to achieve to be successful, and I see it being just as applicable to enterprises and their agencies, as it is to Startups. Innovators that achieve Product/Market Fit create sustainable futures for their businesses, with products that can grow and create profit long after the initial launch dollars are switched off. Those that don’t, may achieve short term success, but in the longer term the product will lose traction with customers, become unprofitable and ultimately be killed. 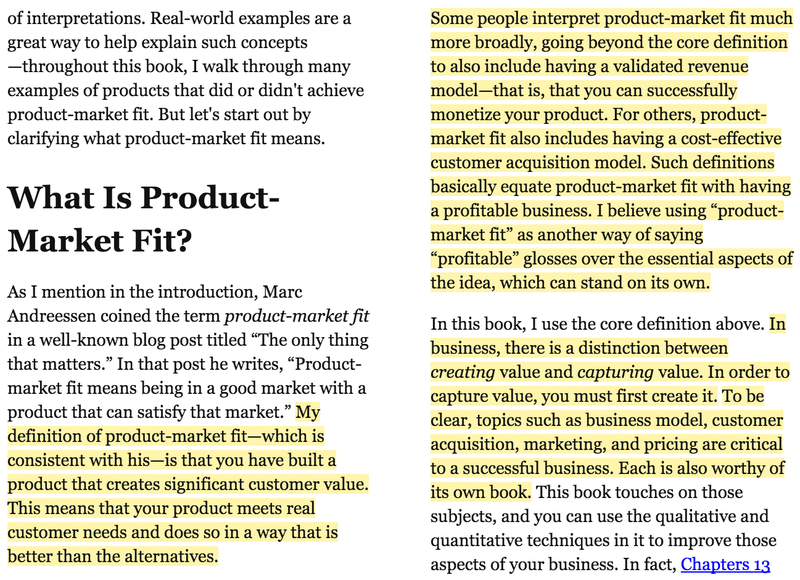 There have since been many great articles arguing for different definitions of Product/Market Fit, and my obsession has been to find and read as many of them as possible. Here’s a good write-up, and another, and another, to cite just a few. In my experience, achieving product/market fit requires at least 40% of users saying they would be “very disappointed” without your product. The Product-Market Fit Pyramid, by Dan Olsen. It may just be because I’m a marketing guy as well as a product guy, but in my humble opinion, many of these definitions have evolved to focus too much on problem/solution fit alone, (“Does our product really solve a problem for customers”) and do not consider enough of the MARKET side of the Product/Market Fit equation. True, the definitions Ellis, Olsen and others described help us ensure we solve the right problem for the given market, but stopping short of testing marketing strategy doesn’t help us know if we can actually get our product into our customer’s hands. So Dan is saying that the marketing aspect is just as critical, but he prefers to separate the subjects. In many respects I think that is fine, but I do think Product/Market Fit loses some of its power if we break it in two. As an early stage startup cofounder myself, I find it enormously helpful to have such a singular clear north star to aim for, and make all decisions in consideration of. On a recent episode of This Week in Startups, Chris Sacca reflects with “disgust” on some of the unwieldy expectations of many investors, and the explosive growth they demand to consider investment. Increasingly huge markets and massive returns are demanded from startups that seek investment. My concern is that if entrepreneurs only optimize for customer satisfaction with a product, we skip testing whether that customer audience is big enough to achieve our business ambitions. In the same episode, Jason and Chris spoke about how “for every great idea out there, there are probably 2 or 3 teams going after it.” What makes the difference is how you can unlock the market in a smarter way than the other guys. Companies have to be different… they have to have a clear, unfair advantage. Essentially, what is your distribution strategy? So, the next question in the pitch conversation is: how quickly can the business show its unit economics work? Because at that point, the business only needs money to grow. The sooner those economics prove a viable business, the better the fundraising odds, even if the fundraising markets stiffen in response to the three forces above. So if I, and my peers at other startups are to have one single goal in 2016, that goal must still be Product/Market Fit, but with the caveat that growth strategy and unit economics are included. I don’t think we need a new buzzword to describe that point, as Product/Market Fit already includes it. We just need more emphasis on the market, specifically — can we reach that market profitably and sustainably? If I try to imagine one summation of everything a startup should achieve before scaling in the business climate of 2016, I go full-circle back to the author of The Lean Startup himself. 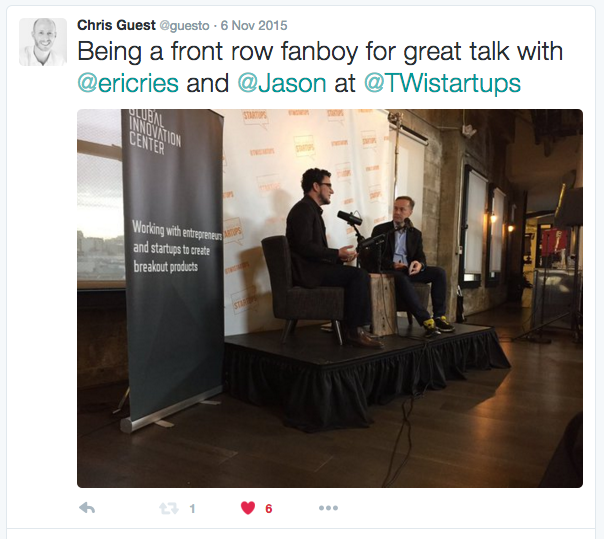 Back in early November 2015, I bagged a front-row seat to hear Eric Ries speak with Jason Calacanis during a live broadcast of TWIST. …what it really comes down to, is can the acquisition of your new customers be completely funded by the value gained from your existing customers? I think this perfectly captures everything a startup needs to achieve to prove both great traction and great unit economics. In other words, we don’t need to spend $10 to acquire a customer that we can only make $5 from. And it is simply not possible without both proven problem/solution fit AND a proven growth strategy. In the act of going back over all of my research, I find among them view points including Henry Hobhouse, who in 2013 argued that “Product/Market fit is when it becomes possible to monetize a product, at a scale, that makes the business sustainable.” which covers it very well. Eric goes on to explain how various growth strategies can, and should, be tested within the “search” phase of a startups journey. 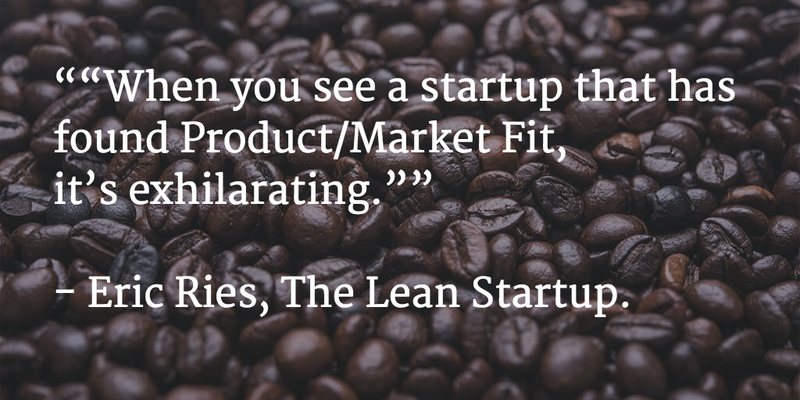 In essence, before, and as a critical part of finding Product/Market Fit. So after all my research, it turns out that we don’t actually need a new goal or re-definition of Product/Market Fit, we just need to refresh our understanding and get back on course. The goal posts for startup success in 2016 have not moved further away, but perhaps they have become closer together — A less forgiving target that is harder to hit. And Startups will need to be more on-target with their growth strategy in order to score.